As social media captures an increasing portion of our lives, it is becoming an invaluable resource for understanding lifestyle diseases such as obesity and diabetes. This section will cover techniques for understanding culture around food and nutrition using Instagram, Twitter, and Facebook Advertising API. In particular, content meta-data will be analyzed using topic discovery, grounded content coding, and enriched using outside resources. Further, network analysis will show the homophily in nutritional behavior, as well as the flows of information (and potential misinformation) in social media. Finally, we will glimpse population-level analytics available through the advertising platforms. 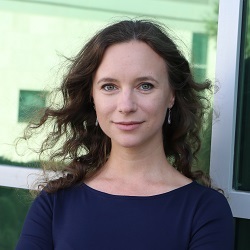 Yelena Mejova is a Research Leader at the ISI Foundation in Turin, Italy, a part of the Digital Epidemiology group (previously, a scientist at the Qatar Computing Research Institute, Qatar). Specializing in social media analysis and mining, her work concerns the quantification of health and wellbeing signals in social media, as well as tracking of social phenomena, including politics and news consumption. She co-edited a volume on the use of Twitter for social science in “Twitter: A Digital Socioscope”, and a special issue of Social Science Computer Review on Quantifying Politics Using Online Data. Previously, as a postdoctoral member of the Web Mining team at Yahoo! Research Barcelona, Yelena participated in the Linguistically Motivated Semantic Aggregation Engines (LiMoSINe) EU project. Also, Yelena has published widely on sentiment analysis and its application to social media and political speech.